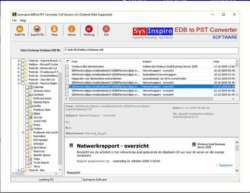 Download Exchange Email Recovery Software that nicely repair damaged EDB file and recover exchange email to PST Outlook file with emails and attachments. Exchange Mailbox Recovery Software successfully recover and convert EDB file to PST Outlook file, MSG, EML, EMLX, MBOX and HTML format. It supports all MS Outlook versions included- 97, 2000, 2002, 2003, 2007, 2010, 2013 and 2016.